In 1921, Colonel Edward Green, aviation enthusiast, radio station owner/experimenter, and bon vivant, had an imposing mansion constructed on his estate at Buzzards Bay, at a cost of $1.5 million. The estate known as Round Hill, came to be the site of some important developments in radar and radio, starting in 1925, when Colonel Green invited scientists from MIT to use Round Hill as a research center. Advances in such areas as using tropospheric scatter for long distance communication (further developed at Lincoln Lab and Millstone Hill), as well as incorporating high frequency radio transmissions in aviation guidance systems, were made possible by the financial support and enthusiasm of Colonel Green, who had inherited a fortune from his mother, Hetty Green, possibly the richest woman in the world at the time of her death in 1916. Colonel Green built a hangar which was used initially to house a Goodyear blimp (on loan for radar research), but was later used to contain a large Van de Graaff generator (the same one now used in performances at the Boston Museum of Science). In 1936, Colonel Green died, leaving his wife and sister to battle over both the estate, and the fortune which had made its building possible. Ultimately Colonel Green's sister was named the sole beneficiary, and in 1948, she deeded Round Hill to MIT, who proceeded to use the site as a research center until 1964, when it was sold to a group of Jesuits who then moved into the mansion. In 1970, the Jesuits sold the estate to a local citizen, who subsequently sold the majority of it to a group of developers in 1981. Currently Round HIll is home to a gated condominium complex, replete with a 9-hole golf course. 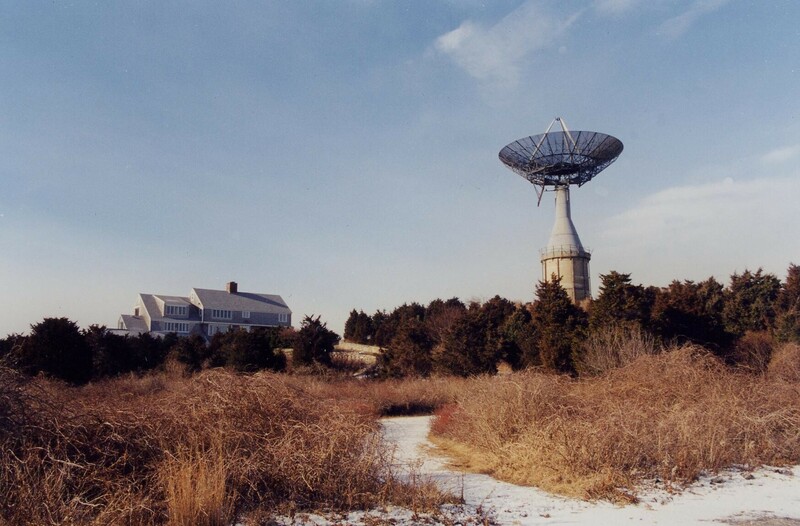 When still under the control of MIT, two large steerable dish antennas were added to the complex. The larger of the two antennas (known as the "martini glass" or "bird bath"), became a landmark for boaters on the bay. In 2007, to the consternation of many local residents, the then owners had it demolished.